The San Antonio Spurs lead the Portland Trail Blazers three games to none in the teams' second round playoff matchup. Game 4 is Monday, May 12 in Portland. 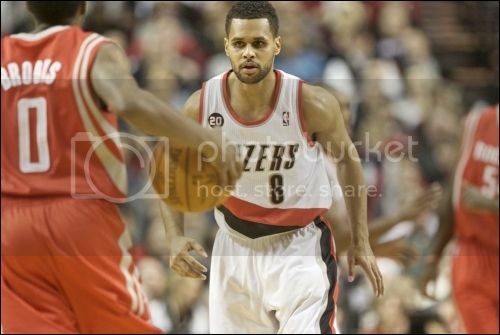 Patty Mills as a Blazer. He essentially started the Blazers twitter craze. He raised over $40,000 for flood relief in his native Australia. He founded the now-infamous "Three Goggles." He was a Blazers fan favorite. That was seemingly a lifetime ago. The 2010-11 NBA season to be exact. Patty Mills was definitely a fan favorite in Portland. His fast-paced court play, his towel-waving support from the bench, and his "Pat Stacks" themed videos drew fans to him. In one youtube video, a young girl at one of Patty's autograph signings even proclaimed that she loved him "more than Justin Bieber." I was one of those who quickly became a Patty Mills fan. One of tens of thousands. Thinking back, I believe it was largely because, through twitter, he was largely interactive and always interesting. We'll never know if, under regular off season circumstances Patty would have returned to the Blazers for the 2011-12 season. As you may remember, that was the year of the NBA lockout. That threw a monkey wrench into what we all know as NBA normal. A significant number of players would go on to sign contracts in leagues outside of the United States. Patty Mills scored 28 for Melbourne in the first round against Sydney. 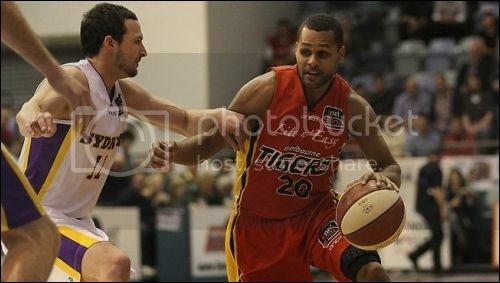 At first, Patty returned to Australia and played for the Melbourne Tigers of the National Basketball League. After nine games, he left Melbourne to sign with China's Xinjiang Flying Tigers. About a week later, it was announced that the NBA lockout would be over and, though abbreviated, there would be a 2011-12 season. Patty's contract with Xinjiang did not allow him to return to the NBA and to training camp of the Blazers or any other team. He was eventually let out of his contract and signed with the Spurs with a month to go in the NBA season. If not for the lockout, Patty very likely could have participated in the Blazers' training camp and retain his roster spot. During his last season with the Blazers, I had a chance to trade several tweets with Patty. I know that he had read some of my entries on the earlier incarnation of this blog on the Blazers Blogger Network. I also know he had read a couple of my personal entries on my personal blog on Blogger.com. I loved "chatting" with Patty; always interesting and humorous. Shortly after he signed with Xinjiang, Patty and I exchanged a few messaged on twitter. We decided Blackberry messenger might be a better option. Though intelligent, technology is not necessarily a friend of mine. No problem; Patty actually taught me how to set up and use Blackberry messenger that day -- in just a few tweets. As we messaged each other, he explained the reasoning for signing with Xinjuang. He told me, though those messages, that he wanted to play for those very superb coaches in China, absorb their information, then use what he would learn to lead his Australia in the 2012 Olympics in London. He told me he hoped that would pave his path back to the NBA. 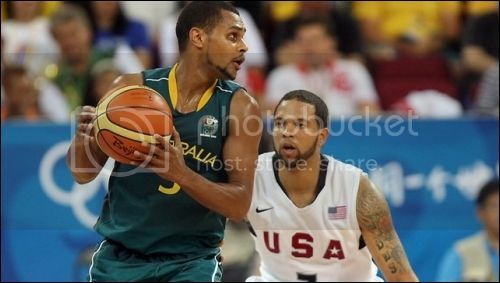 Patty Mills Playing for the Australia Boomers against the U.S. in the 2012 Olympics. On one hand, I was impressed that he had a plan. On another hand, I wasn't sure how it would pan out. To me, it seemed roundabout. Still, on a third hand (a juggle, I suppose), I was pretty sure I was not versed enough in the possibilities of such a design to make a determination. Regardless, I always wished for Patty to find his way back to the NBA. Though unlikely, I always hoped it would be for the Blazers. My latter wish was not to be. As we know, Patty did make his way back to the NBA, and it was even before step two of his plan came to fruition. He signed with the Spurs prior to even going to the Olympics. Of course, he did make it to the London games. Not only did he make it, he led the Olympic Basketball Tournament with 21.2 points per game. Still representing the 3 Goggles, even as a Spur. Not only that, he was already set to return for the Spurs for the 2012-13 season. Following that campaign, he exercised his player option and returned for this season where, among other things, he has become an integral part of the Spurs second unit. In my own opinion, he could be starting for Gregg Popovich's squad if he weren't backing up one of the current best point guards in the league, Tony Parker. My perception is that Patty is still very ingrained in the goings on -- sports and otherwise -- in Australia. Following the 2010 Queenlands Floods, he hooked up with Wears My Shirt to raise funds for flood relief. He has added other charities as well. Blazers teammate Rudy Fernandez aided in raising awareness in the effort. 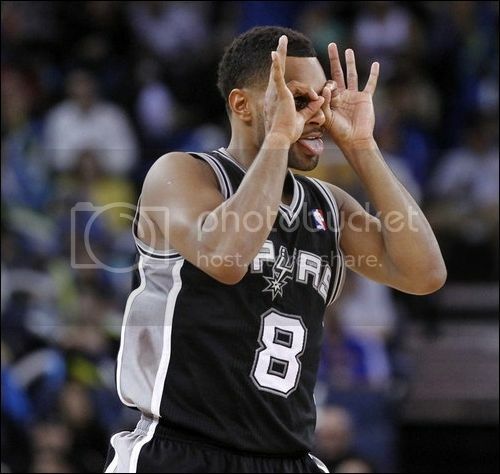 Speaking of Rudy, it was Patty's reaction to his squinting while shooting threes which led to the three goggles. Like them or leave them, the three goggles became a craze not only among the BlazerNation, but around the world. Soon after Patty and Rudy first displayed them, their teammates followed. Then several others, most notably college players during the 2011 NCAA Tournament, including a guard from Duke, who would go on to be drafted by the Blazers the summer following that season, Nolan Smith. The 2010-11 season was Patty's second for the Blazers, but it was the most memorable. He was so active on twitter that guys like Wesley Matthews and LaMarcus Aldridge, seemingly reluctantly, joined twitter. I must admit that I've been annoyed by Patty this season. Don't get me wrong; I applaud the season has had. He led the Spurs in scoring in both of their wins against the Blazers during this regular season. During the first three games of this second round series between the Blazers and Spurs, his team has ... well, you know. Despite all that, Patty is no longer a Blazer, but I still follow his career. I still root for him. That is, unless the Spurs are playing the Blazers (of course). I haven't had much opportunity to exchange messages with Patty as of late. He is with a team not called the Blazers and I progressively de-prioritized my Blazers "olbigations" each year as I get closer to completing my college degrees. It is a lesson of life which simply tells me, things change. For good or for bad, change in my life will be a constant. Should the Spurs pull off the miracle and hold off the Blazers for four straight games (go with me here! ), I suppose I might even wish that his team wins the championship this season. Whether that happens is anyone's guess. Regardless, I will always remember fondly that 2010-11 season when my friend helped impact the Blazers' relationship with their fans. And this fan in particular. 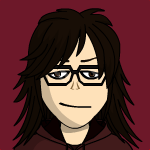 In Kassandra's Words began on the Blazers Blogger Network and continues here on this site. Relocating this blog will allow me to include Blazers blogs, but to also expand it to other sports and teams as well. Click here for access to the more than 100 entries on the Blazers Blogger Network (note that the link will take you to the most recent of the entries, prior to when this blog was moved to this site). Awesome article Kasey! I wish he was still a Blazer! i do too. he's a free agent and who knows what will happen with Mo or Earl. Patty could be a great spark plug for us. i miss him! That's right. Anything can happen. I remember watching him when he was a 16-year-old here in Melbourne. Got to meet him too. He's a great guy! that's before when i saw him. he's doing really well for the Spurs. i genuinely am happy for him. Wow, that's awesome that you guys actually talked through Twitter. I always loved Patty, just his enthusiasm and his attitude towards life just got to me. Very well written! I knew you were always fond of him and the connection he helped bring between the players and fans, but I didn't know you had actually had conversations. You never cease to amaze me. I always liked Patty because of the team mentality he displayed. I remember and I think this was between when he left China and before he signed with the Spurs, he was at a Blazer game in the stands waving the towel. I loved that. I knew you were writing this! You wouldn't show me, but I knew you were putting something together about Patty. I love this blog. I'm glad I got to see Patty play for the Blazers. He was fun on and off the court. That really comes out in this blog! Patty is one of those guys who made you take notice that we bad a bunch of great guys on the roster, on and off the court. It's so great that you had a chance to talk with him one-on-one!